Portland-Wayne P. Campbell, 79, passed away peacefully surrounded by his loving family on Thursday, July 12, 2018, at Gosnell Memorial Hospice House in Scarborough. He was born on April 26, 1939, in Portland, Maine, the son of Clifford and Florence (Stewart) Campbell. Wayne was raised in Portland, attending Portland Schools where he was very athletic and was an MVP quarterback. He graduated from Portland High School with the class of 1957, following high school Wayne served in the National Guard. In 1958, he married his high school sweetheart, Marilyn Sanborn. Wayne held positions with a few different companies, first with the American Can Company. In 1978, he started working for the Boiler Makers Local 29. Wayne spent close to 20 years with the Boiler Makers, retiring in 1997. He also spent time working for the railroad. Wayne was also a member of the Eagles club, the Elks and also a member of Val Halla Golf Course. He had many interests of them music and Sports were very important to him. Music was a large part of his childhood and continued to be important to him throughout his life. He was also a big sports fan, always rooting for the New York Giants and the Boston Red Sox. Besides sports and music, he also enjoyed learning about History and also enjoyed crossword puzzles. 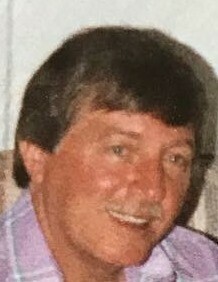 Above all, Wayne could not replace the love and joy he received from being with his family, especially his children and in his later years, his grandchildren. He was a very proud father, grandfather, and great-grandfather. Wayne will be remembered by so many as a person that would always go out of his way to lend a hand to anyone in need and also for his sense of humor. He is predeceased by two brothers Donald and Jack Campbell also by two sisters Diane Scott, and Carolin Campbell. Wayne is survived by his three children Cheryl Whipple and her Partner Dana Brown, Wayne Campbell Jr., and his wife Gert, and Lori J. Bissonnette and her husband Bob. He is also survived by a brother Jim Campbell and one sister Beverly Clement, also seven grandchildren, three great-grandchildren, and many wonderful nieces, nephews, and friends. Visiting Hours will be held on Wednesday, July 18, 2018, from 10:00 am to 12:00 pm at A.T. Hutchins Funeral Home. 660 Brighton Avenue, Portland. A funeral service will follow at noon at the funeral home. Burial will be in Brooklawn Memorial Park.